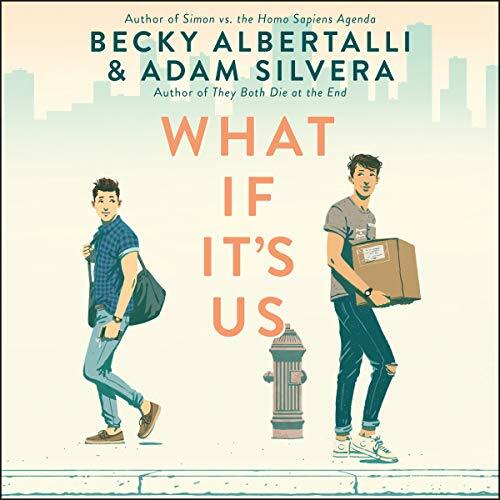 Critically acclaimed and best-selling authors Becky Albertalli and Adam Silvera combine their talents in this smart, funny, heartfelt collaboration about two very different boys who can’t decide if the universe is pushing them together - or pulling them apart. very well done. love the story. I sure hope the boys have a sequel. Please please please. This was one of the cutest things I have ever read/listened to. There were times when my face hurt from smiling. I stayed up hours later than planned, so many “just one more” chapters. I devoured it. I’m already looking for fan fiction because I need infinite more Arthur/Ben in my life. The story was super predictable, but I didn't mind because I was looking for a fluffy story anyway. Noah Galvin was incredible. 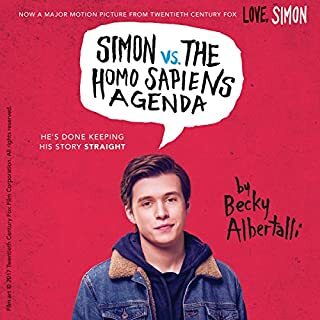 He did such an amazing job narrating for Arthur and Becky Albertalli's writing was amazing. I really enjoyed Arthur's chapters, they were they only reason I kept reading. However, the same can't be said for Ben's. 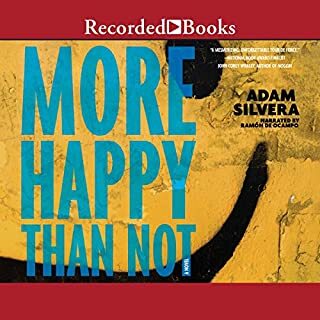 I thought Adam Silvera's writing was very cringy. Like actually made me cringe. It was like he was a middle aged guy trying to fit in with teens and use every single slang word he could. I also didn't enjoy Froy's narration. He didn't put as much effort or emotion into the reading as Noah did. I found myself rolling my eyes when Arthur's chapter would end because then I had to listen to Ben's. Overall I just really wish the story I didn't like Ben's chapters but LOVED Arthur's. What if you didn’t read this? 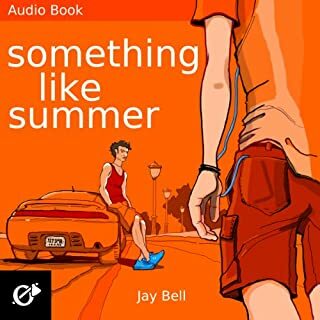 Well first if you didn’t read this then you’d miss out on a fun loving easygoing story!! 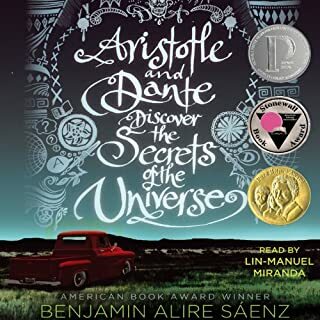 I was entertained through and through and found myself on the edge of my seat the whole book waiting and hoping for the universe to come through. 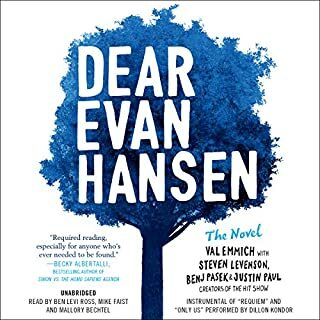 This is an amazing book. one of the best I've read in a long while. This was everything I wanted! You should all read this and be swept away as I was! Love Ben and Arthurs story so incredibly much! Their love was realistic and I cannot recommend this enough! A new favorite for sure!! There is nothing that's original in this story; not the characters and certainly not the plot itself. 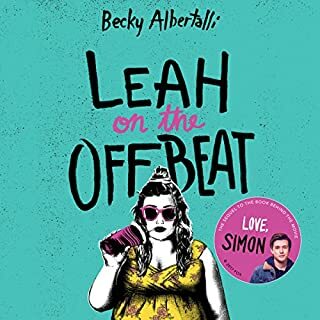 I've previously read books by both Adam Silvera and Becky Albertalli that I've truly enjoyed, this book, however, left me disappointed. 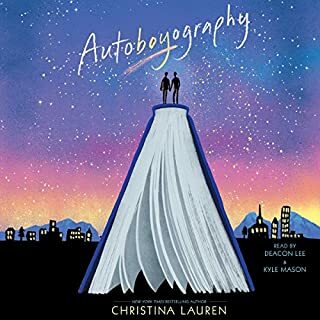 I have during the last year completely fallen out of love with the YA-genre, so that might be a part of why I didn't like this book. It's too cliche and way too predictable. Probably the nicest thing I can say about this story is that the synopsis was more interesting. I mean, it convinced me to purchase this novel, so it must a very good synopsis. This story though? Not so much. 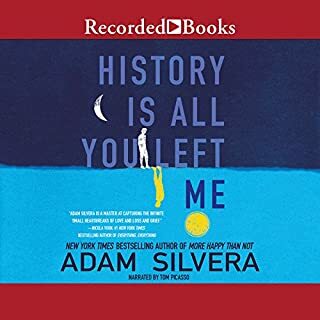 I adored History is All You Left Me by Adam Silvera, so I am familiar with his gorgeous prose, heartbreaking reflections on life and love, and endearing, hilarious character who will have you laughing and crying all at once. None of that is present here, so I have to conclude that this “collaboration” is more one sided than not. 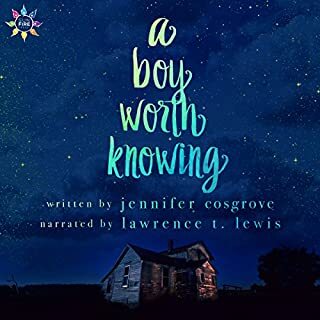 This is purely the same old, cookie cutter Boy Meets Boy kinda thing that you’ve read a thousand times already a decade ago, and it was already stale then. This story has nothing to say, no wisdom to impart on the gay experience, unless all of you know of our struggles are from Disney Channel. 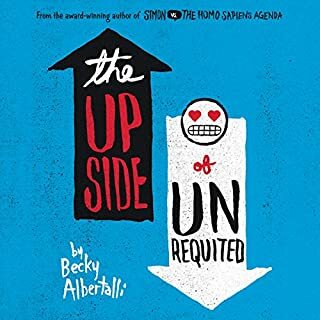 It merely grazes on the topics of breaking up, moving on, first love, and realizing that the idealized fantasies of romance you have in your head may not hold true in reality...and does nothing further with them. I was hopeful at the beginning, but as the story wound on...and on...and on...repeating the same juvenile cliches and phoned in conflicts over and over...I was ready to call it quits 2 hours before the finish line. I will forget the “Epic Saga of Ben and Arthur” a few hours of now because there’s really not much there. All the characters are as bland as saltless crackers. Their dialogue repeats on an endless loop, basically robots with only the most basic of what counts as personalities. Arthur, our main bottom, really likes Hamilton, and Broadway in general. He has two sets of best friends, all of whom are as boring as he is. He never shuts up. His inner monologue is pretty much a broken record of “Wow!” and “Is this really happening?” and “this is amazing!”. He is just shocked and amazed by everything basically, even when nothing is happening. Speaking of nothing, there’s Ben. He’s the tall cool one. He likes the Sims, for some reason. He’s Puertan Rican, but dont mention his light skin tone, or there will be “drama”. He’s a jerk, basically calling “do-overs” on all their dates because he’s never pleased with anything Arthur does, and he’s a piece of s***. I have no idea why Arthur bothers with him, but Arthur could be charmed by a ball of lint, so no surprise I guess. The cherry on this crap sundae is that Ben is still hung up with his ex Hudson, and will never stop beating us on the head about it from beginning to blissful end. 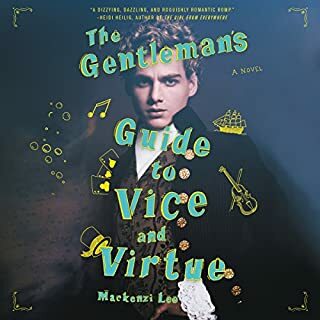 The narration is clearly geared to make us dislike Hudson, but his character is so poorly defined (like everyone else) and so clumsily inserted into the “plot” that i’m honestly not sure what I’m supposed to think about him. At best he’s a McGuffin, who’s only purpose is to show up when drama needs to start (spoiler: thats exactly what happens). Disregarding all the boring nonsense about Arthur’s Georgia friends and Ben’s “squad”, the story beats can be simply outlined in generic arcs. 1. Boys meet and are separated 2. Boys search for each other and are reunited 3. Boys become boyfriends 4. DRAMA! 5. They get back together. Thats...it. There’s nothing else to say about this novel because its all been done, and far, FAR better. There are no surprises, you pretty much see the “conflict” coming a mile away with the ex boyfriend tripe. All the teenage characters are clearly just Avatars of what the writers think teenagers are like. They listen to Hamilton! And they instagram! And they play the Sims (???)! Every other dialogue is a pop culture reference, with no insight into what these references mean to the characters. Its not enough to have them blurt out “I like Sam Smith!” If it doesnt reveal anything about the characters, then its just meaningless babble. 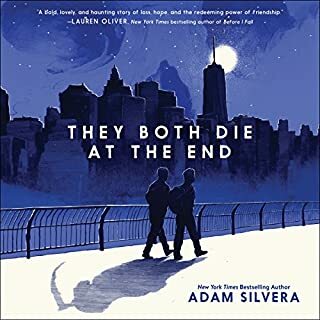 Adam Silvera never struggled with characterization before, but here its embarrassing. Towards the end there’s a segment where the characters are just messaging each other emojis, back and forth, this emoji and that emoji, this emoji and that emoji...and I wanted to die. 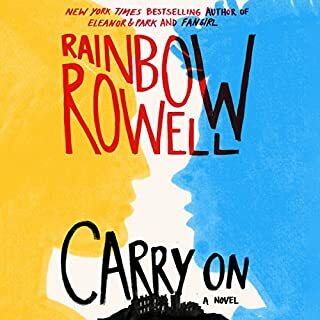 This isnt a novel, this is a fanfic of what a burgeoning gay romance looks like, and its as lame and sanitized as one adapted for the Disney Channel. Sorry Arthur, but nothing here is “amazing”. Briefly on the narrators, they arent the best. I thought Arthur’s nailed his annoying hysteria perfectly though. Ben just sounds like a nasally valley boy. Not sure if that was intentional. The story is intense and it the characters were so into each other. I loved the way friends helped each of them find each other and it the way they finally did was really complicated but believable. Their persistence to overcome several awkward dates showed their total devotion to each other. Without giving any spoilers though I will only say the Epilogue didn't make sense to me. It's not that it's bad, it just didn't fit, given the lead up from the rest of the book. 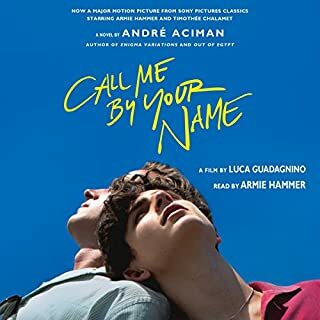 Maybe that's just my take on it though, I hate that I have to be honest and down-rate it, so I really hope there is a sequel because it left me wanting more. That said, Please read the book, it's totally worth your time. So far best read of the year! 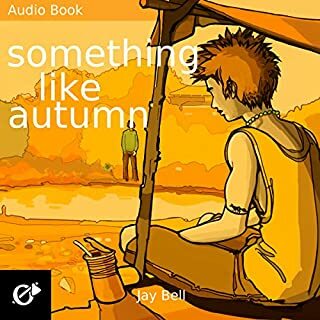 I see its now an audiobook. . . got to get. 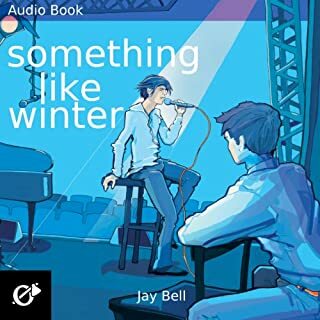 ive been waiting for this book to hit audio book for soooooo long and was not dissapoited at all!!! this was so sweet and cute and mpst importantly it felt REAL!! I felt like I was there on the moment!!! 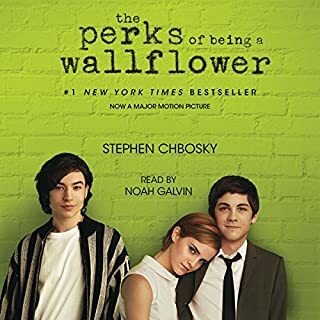 if youre looking for a good book stop looking AND GET THIS ONE RIGHT NOW!!!!! !